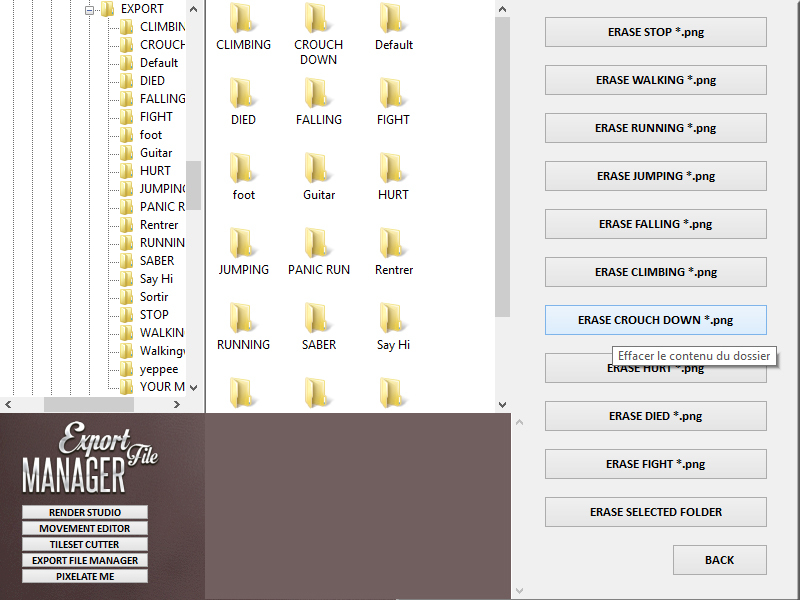 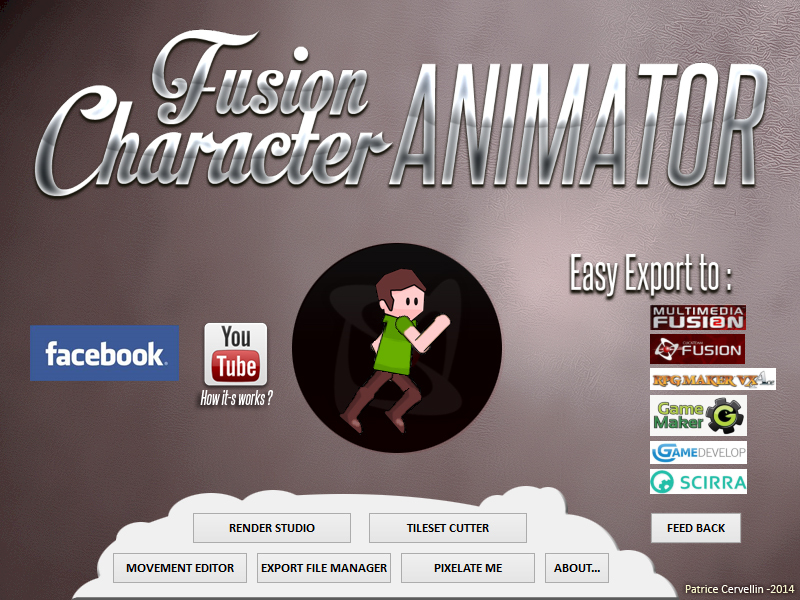 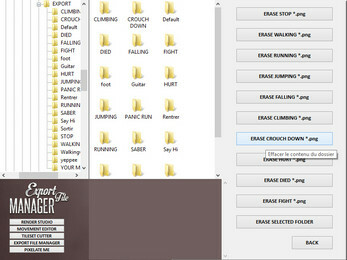 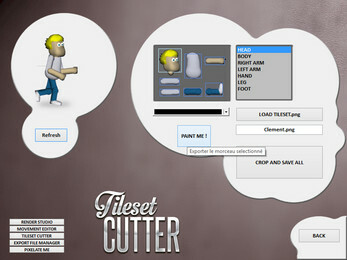 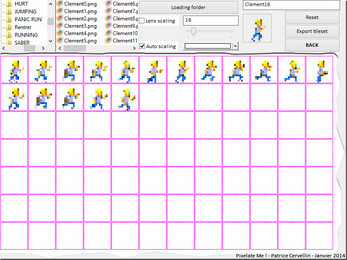 Fusion Character Animator is a small tool with ClickteamFusion 2.5 to facilitate the animation of 2D character sprites for developers. 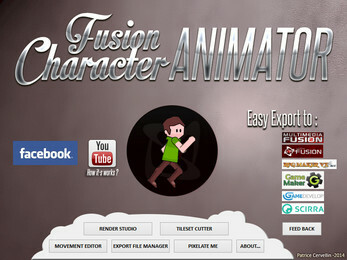 Fusion Character Animator ( FCA ) is a small tool to generate animations frame by frame in PNG for the development of video games. 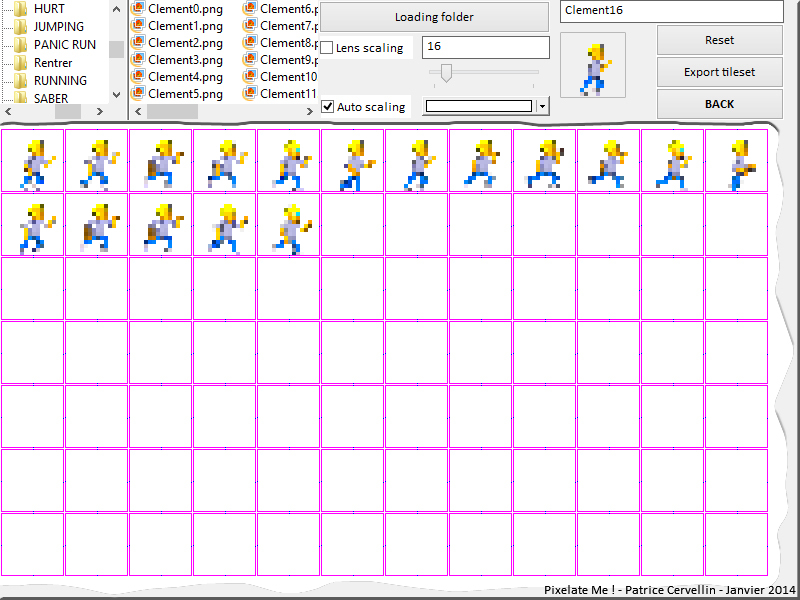 I developed this tool with CTF2.5 , its power is generated objects as its compatible for import into many development tools : MMF2 , Clickteam Fusion 2.5, GameMaker , Game Develop, Construct ... also generate of CharaSets for RPG Maker VX Ace . 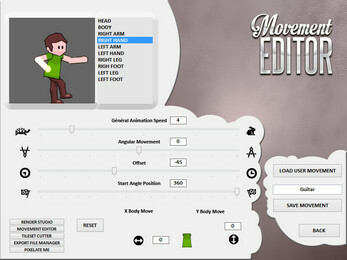 FCA provides a module pixelation and managing the color palette for developers retro games. 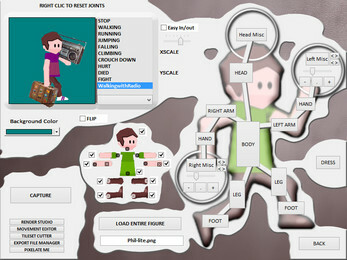 The user can also add accessories on the hands , head and at the character pool . 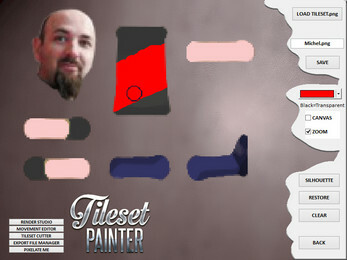 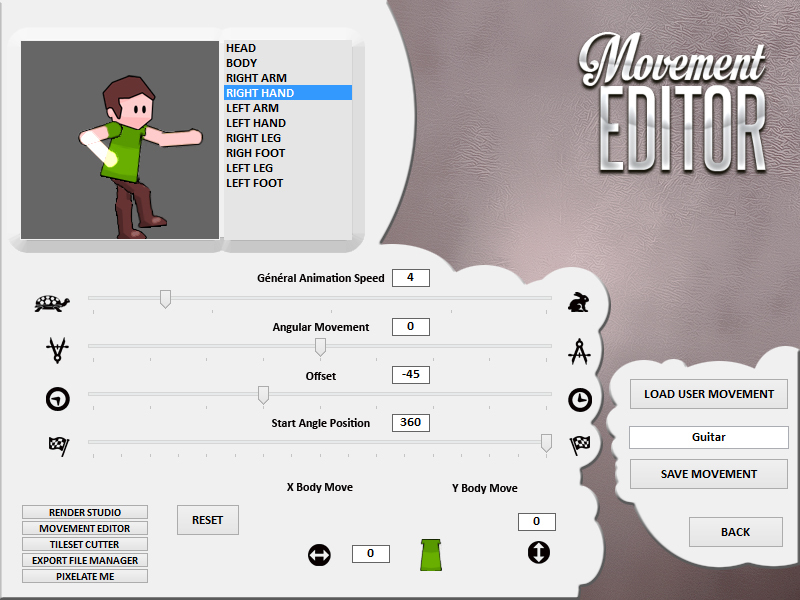 Finally, a graphic module allows you to import the body parts of your character or edit them directly in the software.